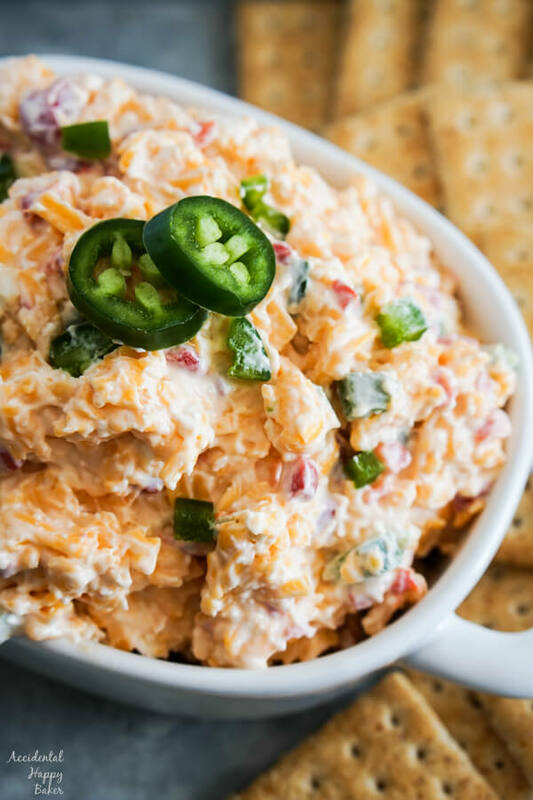 Jalapeno pimento cheese brings the flavor in this quick and easy appetizer. 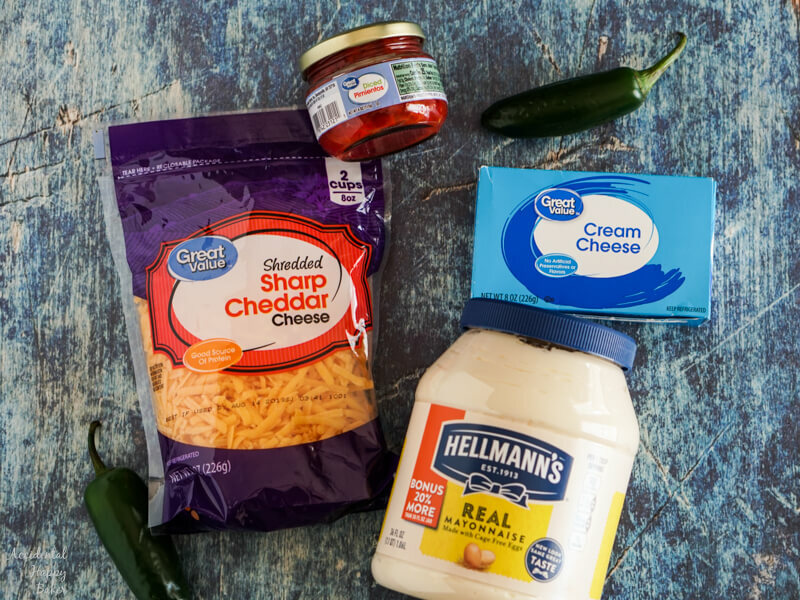 Sharp cheddar, cream cheese, mayo and pimentos are kicked up a notch with the addition of fresh jalapeno peppers. 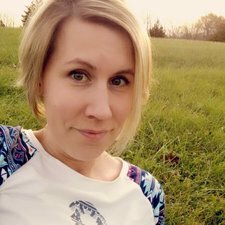 Hi, my name is Amy and I love pimento cheese! Grilled pimento cheese sandwiches with candied bacon, pimento cheese tortilla pinwheels, pimento cheese topped baked potatoes, pimento cheese stuffed peppers, pimento cheese topped burgers…Pimento cheese is my lazy person fix all. LOL. I put it on so much more than just crackers. Funny story, I didn’t realize that “real” pimento cheese was made with shredded cheese until I was an adult. 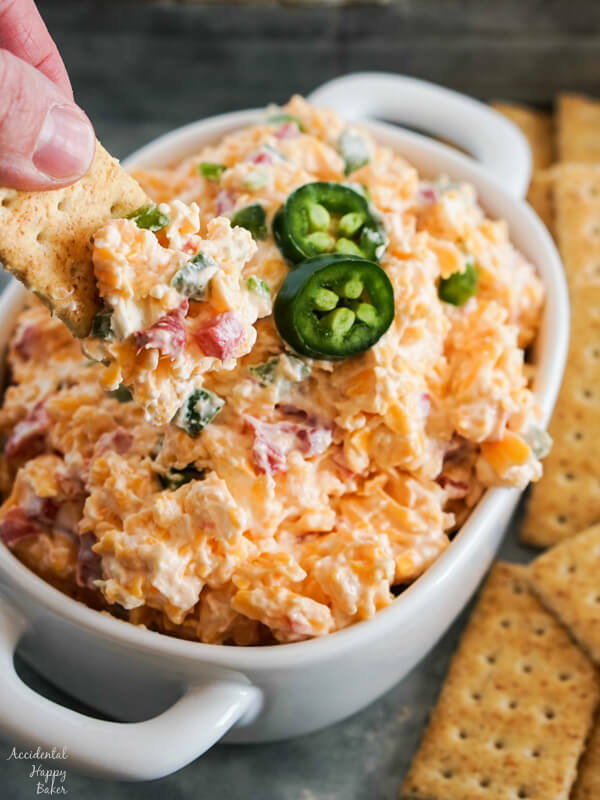 I grew up eating my grandma’s creamy pimento cheese spread, which is completely delicious, but also completely different than traditional pimento cheese. 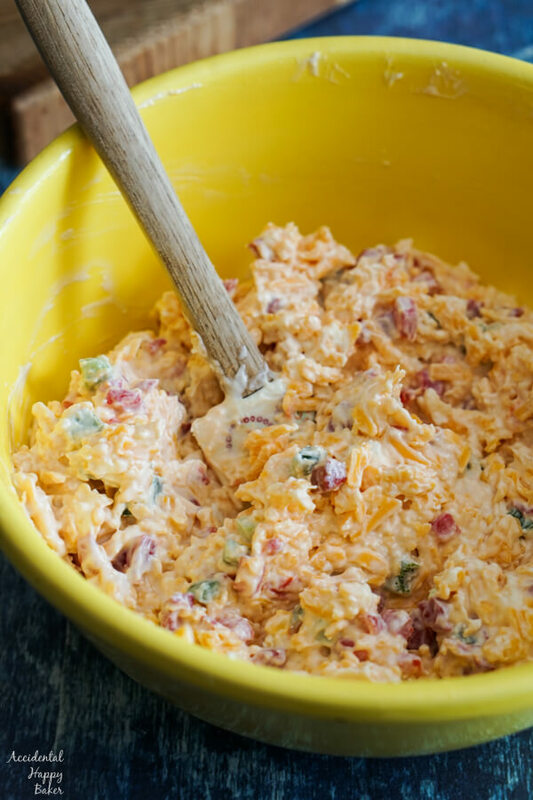 Today’s recipe is also a step away from traditional pimento cheese, because I’ve added jalapenos for a spicy kick. How do you make jalapeno pimento cheese? Simply blend together room temperature sharp cheddar cheese, cream cheese, mayo, pimentos, and finely chopped jalapenos. It’s that easy. Can you use canned jalapenos? Absolutely! Canned jalapenos, pickled jalapenos, and even candied jalapenos work great in this recipe. Simply substitute 1-2 tablespoons chopped canned jalapenos in the recipe, depending on your tastes and how much spice you like. 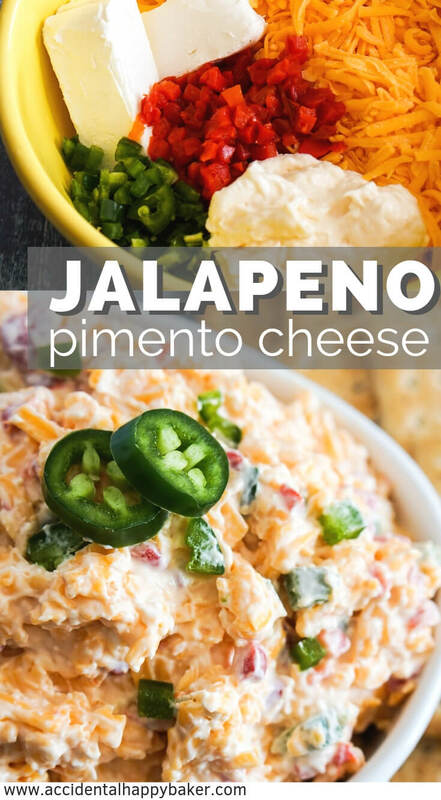 Is jalapeno pimento cheese spicy? It can be, if that’s what you like! Leave all the seeds in if you prefer something spicier. But if you don’t like heat, simply remove all the jalapeno seeds for a tamer taste. I shared this with some friends last week who don’t generally like spicy foods, so I removed all the seeds and they were pleasantly surprised to find out how much they liked the jalapeno taste without all the heat. That’s the great thing about this jalapeno pimento cheese, it’s completely customizable to suit your tastes. Just remember to use caution when working with fresh jalapenos. Wear gloves when cutting them and take care not to touch your face, eyes or nose if you have jalapeno juice on your hands. It will burn! Wash your hands well as soon as you are done. 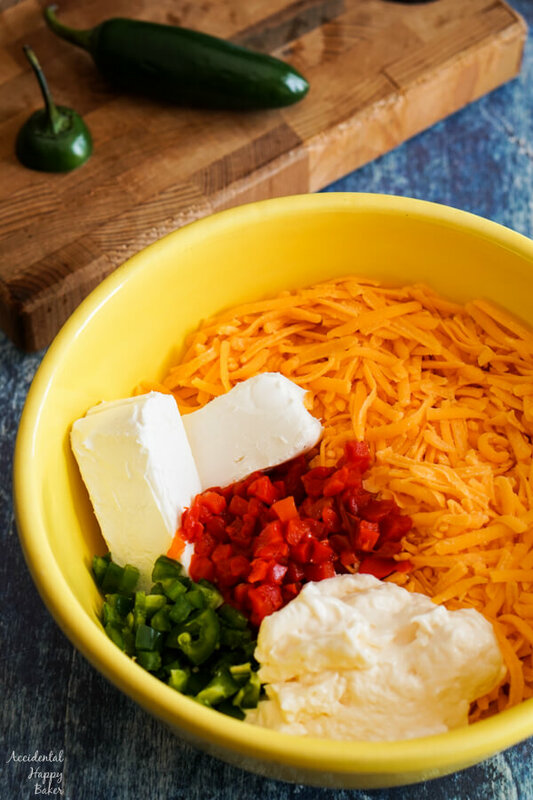 Combine the shredded cheddar, cream cheese, mayo, pimentos and jalapeno and mix well. Refrigerate until ready to serve. To make a less spicy version, remove all the seeds from the jalapeno. Ii have to buy copier ink now so I can print what I want to from you. 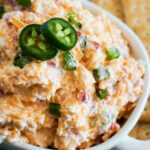 Who does not love pimento cheese? I tried baking the pork chops with cream of mushroom, sauerkraut and brown sugar. I decided that 1/2 cup of brown sugar was enough for my sweetness. It was good. Next time I will drain the sauerkraut. So simple and tasty.